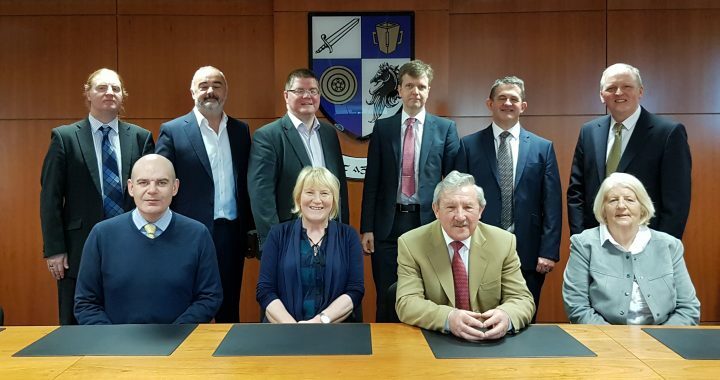 The Monaghan County Enterprise Board (T/A Enterprising Monaghan) were delighted to recently host a Board Meeting of the cross border Ulster Scots Agency at their M:Tek building in Monaghan Town. The Agency was set up under the auspices of the Good Friday Agreement representing the Ulster Scots community throughout Ireland. After their Board meeting in Enterprising Monaghan’s M:Tek centre the Agency’s Board members met with senior council officials for a tour of the County Museum and the proposed Peace Campus in Monaghan Town.